On this page, you'll find resources to help you promote the festival on social media, through your email communications and in person! The flyers can be used to either print, or link to in your email communications. 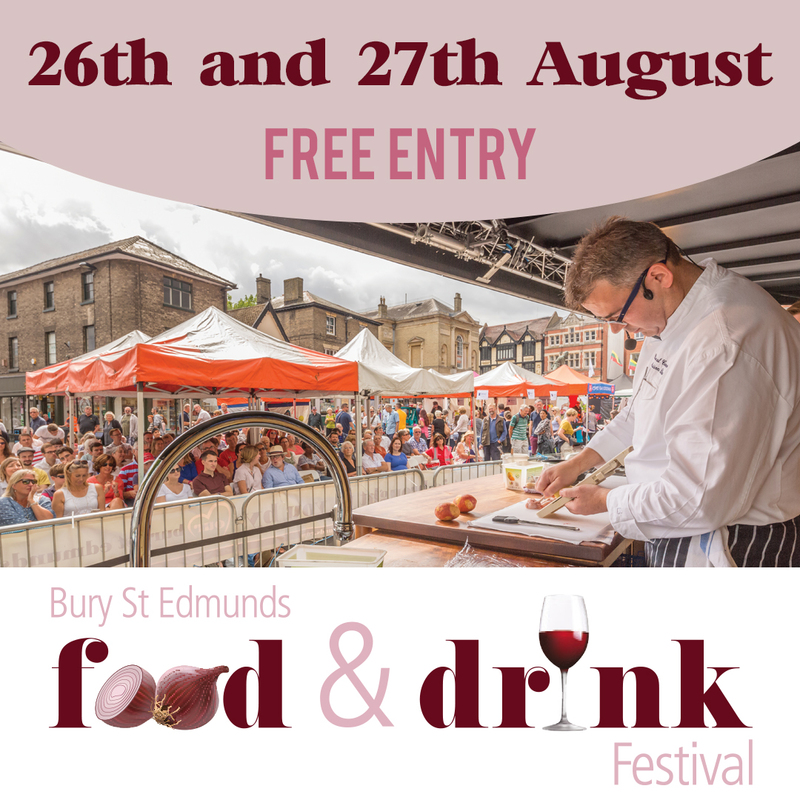 Step up to the plate and prepare to have your taste buds teased when the Our Bury St Edmunds Food and Drink Festival takes place over the Bank Holiday weekend. Celebrity chefs, a farmers' market, local restaurant demonstrations and scores of stalls selling everything from paella to prosecco and beers to brownies will make the event a feast of foodie fun for all the family. The FREE entry event promises two days of fantastic flavours as well as a host of different family attractions including the urban beach, mini-farm and street entertainment. Top of the menu are two of the country's most popular chefs. On Sunday 26 August James Tanner returns to the festival to give three demonstrations in the Stoves Cookery Theatre and on Bank Holiday Monday and Paul Rankin is back for the second year running to share some of his favourite dishes. For younger visitors, there will be a range of children's activities in and around the town centre, including cake decorating workshops, face painting, the mini-farm in Abbeygate Street and the beach complete with deckchairs and Punch and Judy at Charter Square in the arc, along with fairground rides and free street entertainment across both days.